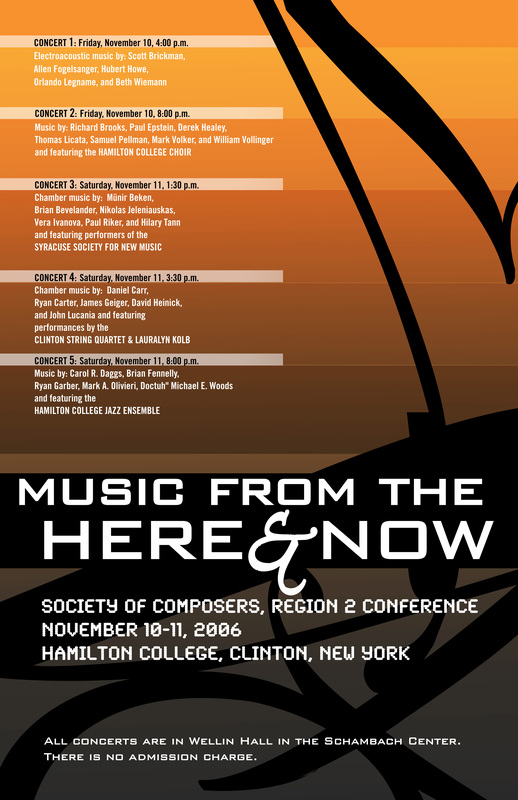 Hamilton College is delighted to host the 2006 conference of Region II of the Society of Composers. We have five concerts of terrific music planned! We look forward to seeing you here. Click these links to view the program booklet: cover, body, and coda. And here's the Conference Poster (by Juliana Renard-Payen)! And here's the Conference press release. Click this link for conference registration. (Note: there is no registration fee for SCI members and their guests). The deadline for registration is Friday, October 21, 2006. 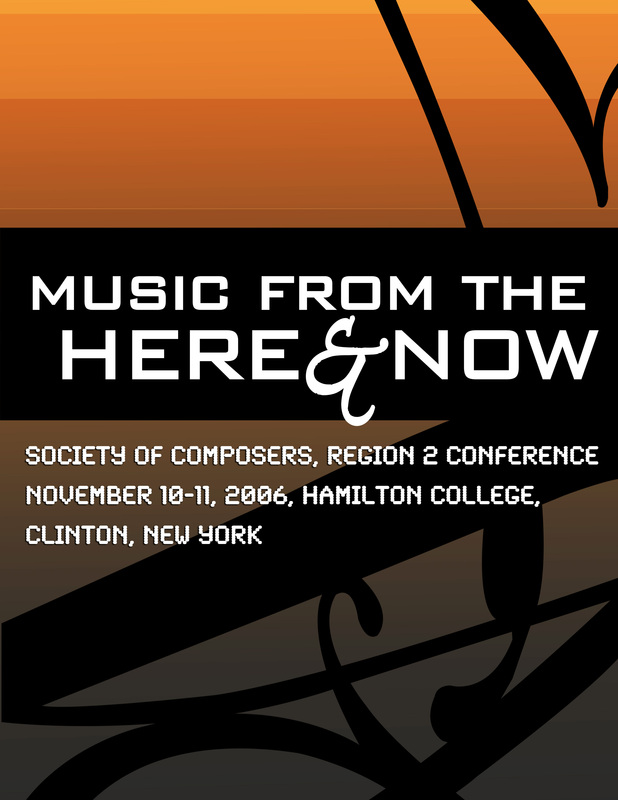 Click here to download a pdf file of the Call for Scores and the Call for Papers.